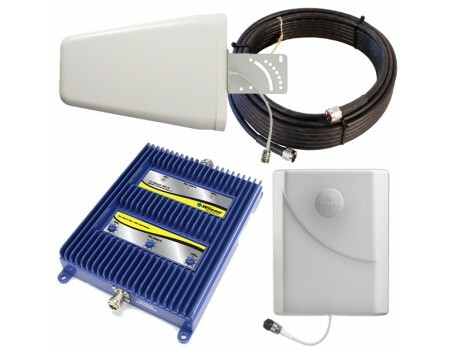 The Wilson Tri-Band 4G-C has been discontinued and replaced by the new and improved Wilson 461104 AG Pro Quint 70dB Signal Booster Kit. The Wilson 842773-UB Tri-Band 4G-C has been discontinued. Please contact us to learn about available replacement products. 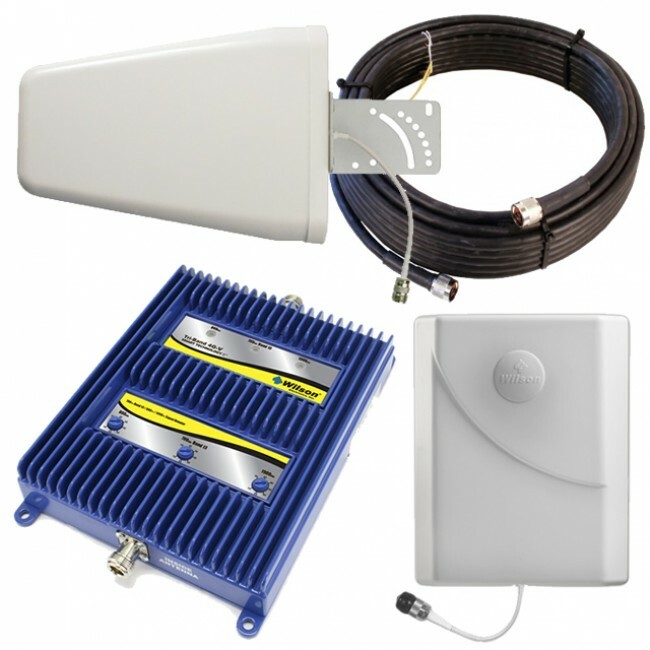 Wilson's 842773-UB Tri-Band 4G-C Signal Booster Kit with yagi antenna is the first consumer wireless signal booster from Wilson designed specifically to boost AWS in addition to the standard Dual-Band frequencies. Until now, most signal boosters were either dual-band and only boosted 3G and earlier signals or they were AWS specific and only boosted the AWS signal. This amplifier combines the two and boosts both the dual-band and AWS frequencies making it the ideal amplifier for carriers like T-Mobile, Boost Mobile, Cricket Wireless, and most Canadian carriers. The amplifier's standard dual-band frequencies (850MHz Cellular and 1900MHz PCS) will boost most major cell carriers 2G and 3G networks. The additional AWS 1700/2100 MHz capability amplifies the frequencies used by T-Mobile, Boost Mobile, Cricket Wireless, and most Canadian 4G networks. 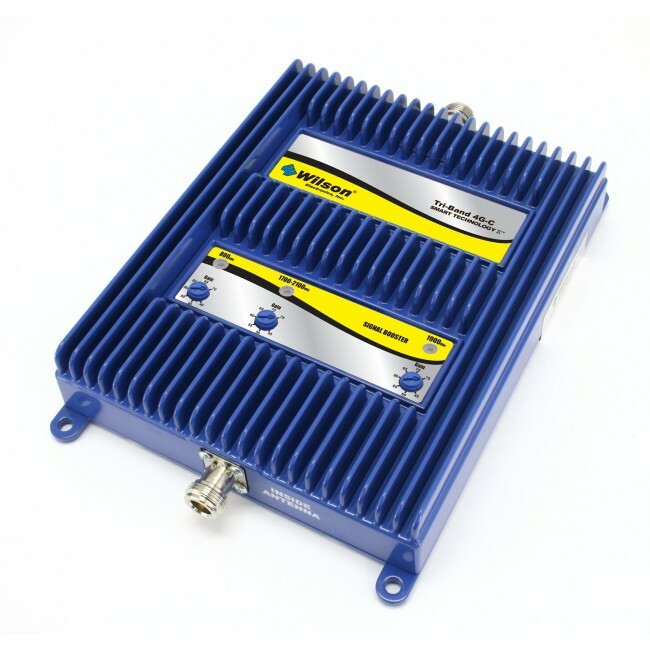 The Wilson 802770 Tri-Band 4G-C repeater for AWS features a 70 dB gain which gives it a total coverage area of up to 20,000 sq ft (depending on existing outside signal strength) when paired with the included directional antenna making this the ideal amplifier for large homes and small to medium offices that only need to cover a single carrier. 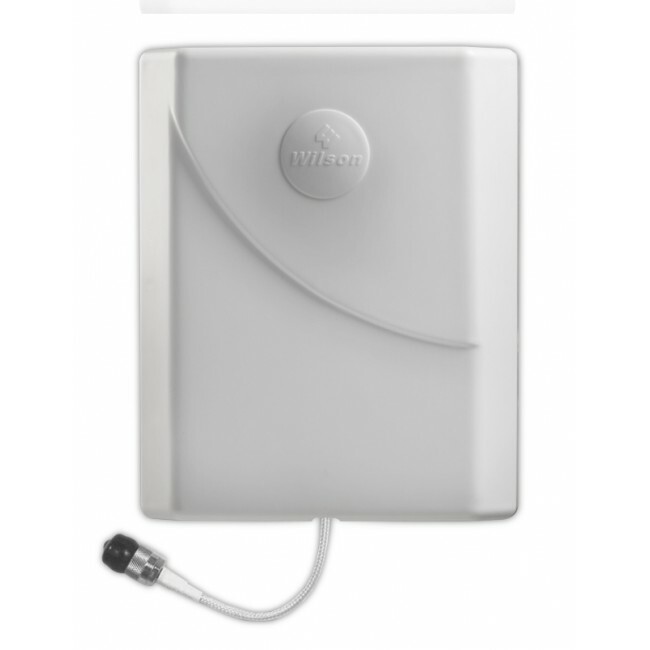 To cover multiple carriers with up to 15,000 sq ft of coverage, check out the the Wilson 842772-UB Tri-Band 4G-C Signal Booster Kit for AWS & Dual-Band with an omnidirectional antenna. 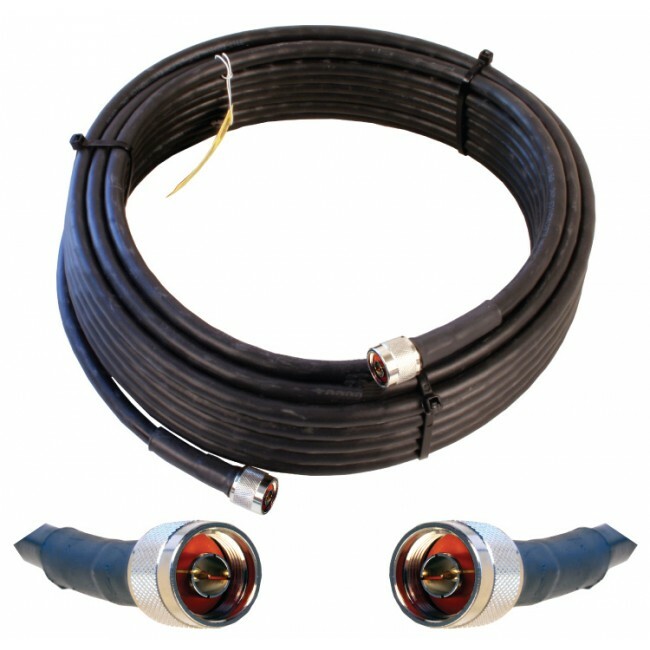 Because this is a powerful amplifier, you must have a minimum of 20 ft of vertical separation between the inside and outside antennas. 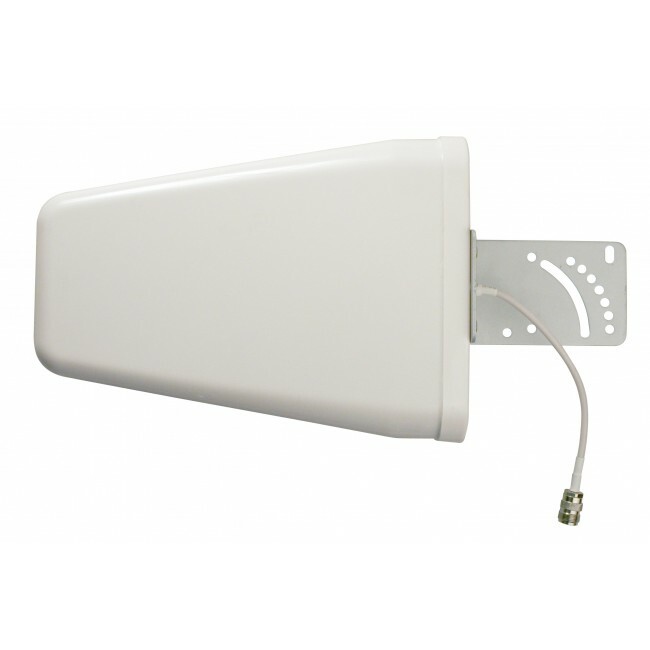 Adding up to 75 feet of horizontal separation can help improve the performance of this signal booster by minimizing the potential for oscillation (feedback) between the inside and outside antennas.